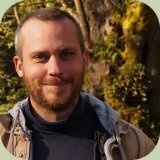 Bernard van der Weerdt is an experienced bushcraft instructor. Bernard wrote articles while he was a teacher at Alderleaf. Bernard is a graduate of both the Alderleaf Wilderness Certification Program and the Alderleaf Wilderness Instructor Apprenticeship. Prior to moving to the Pacific Northwest, he earned an MBA from Webster University, served as a combat medic & nurse in the United States Army, and co-founded a web-design consulting company. When he is not in community with other naturalists and outdoor enthusiasts, you can find Bernard in the woods practicing bushcraft, wildcrafting & studying plants, engaging the fungal kingdom, and continuing to build his relationship with the natural world.